Banaras ka khana has been silent for a couple of months now but I am back with tons of thanks for all of you who dropped in a line for me here, it meant a lot to me. The way you all connected with me and the way it made me realize that I should come back to this space as soon as possible. Both Arvind and me are trying to enjoy the small little things in life, while keeping Mithi alive in our hearts for ever. It is such a paradigm that she was our child but we both are feeling like lost children in her absence. But...but we are trying everything we can do to bring our life back to track. Yes, I have been cooking and occasionally taking pictures too and I am back with one of those recipes I made during this time. Sweet corn kernels cooked in tomato concasse, simple yet so flavourful you nave want it to finish. Juicy corn cobs to be sucked and chewed, soaked with all the goodness of a home made pasta sauce. 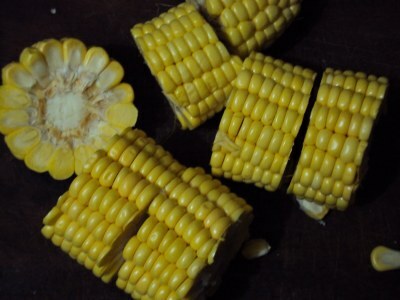 I had seen a sweet corn curry at Nags blog long time back and I knew Arvind would love it as he likes sweet corn very much, the idea of currying the corn on cob like this was new for me while I have been chopping sweet corn like this and shallow frying in butter with salt and pepper for a quick evening snack. 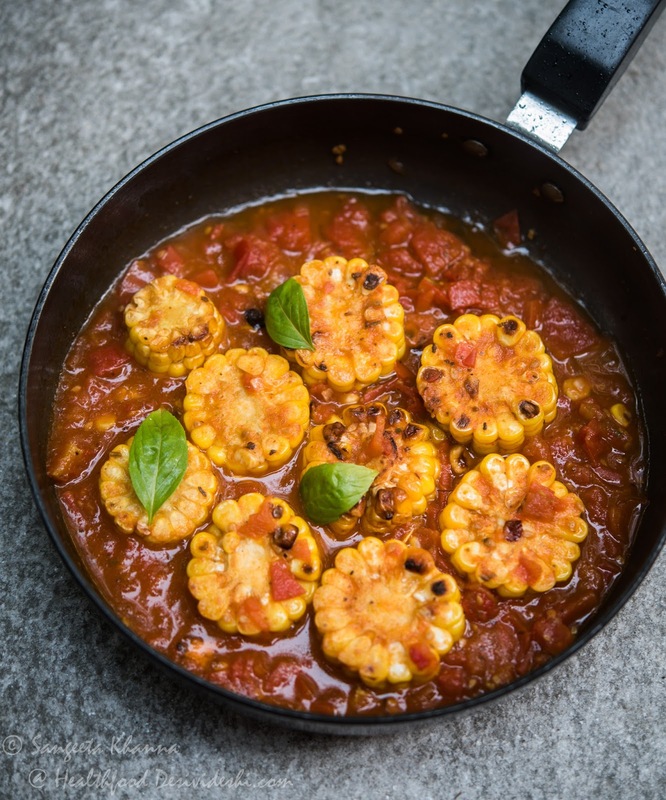 That buttery sweet corn fry has been a favorite for a long time but I knew that this curry will be loved for its rich tomato gravy too, especially the way it has to be torn and sucked off the cob, with all the juices of the sauce soaked in the cob. As I was not checking out blogs these days and I could not check her original recipe I had just one thing in mind that the gravy was a rich onion-tomato sauce. I thought of a tomato concasse which is always there in my freezer and gets frequently used in my kitchen.You can use any other tomato based pasta sauce for this recipe. Chopping the sweet corn cobs was not a problem with me as I have very nice knives and my wooden chopping board is quite sturdy. Did I tell you I made the chopping board myself? Actually when the doors of my in laws' house were being installed I picked up the leftover planks and made a couple of sturdy chopping boards for myself, using those tools by my own hands. The chopped pieces are shallow fried in minimum oil so they absorb all the richness of the tomato based pasta sauce. Add the tomato concasse as much as you want, dilute with some water and adjust seasoning. Simmer till the sauce reaches desired consistency and the sweet corn is cooked through. Serve hot with chapatis, parathas or with any kind of bread you wish. The sauce is rich in flavor, sweet, sour and hot and aromatic with fresh herbs, good to be wiped off using a crusty bread. Indeed you have been missed! Happy you are back with such a tempting & delicious dish :)I can feel the great taste just by reading. it really warmed me up !! So nice to see u back in action...was waiting for ur post for so many days...must say very interesting way to cook corn on cob. I missed you lots :) So glad you are back and well. Wonderful recipe.. very rustic and hearty. 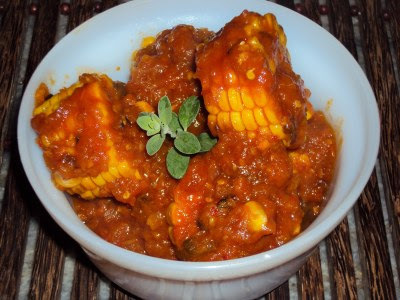 Welcome back to blogosphere.The sweet corn curry looks delicious. Welcome back Sangeeta. Glad to know the two of you are getting life back on track, though I am sure it is a slow and steady path to normalcy. I was pleasantly surprised to see your blog entry up on my reader and immediately clicked to check. I was not disappointed. The corn on the cob with the tomato gravy looks good. welcome back dear, corn curry looks tempting and yummy. that's a great variation. this has remained a staple at my place every since i tried it the first time! welcome back... this is a curry we often made at home. the corn tastes much better the next day too with all the gravy soaked up. this looks like a must-try recepie!!! Happy to see you dear! Hugs..
the corn cob recipe looks beautifully yummy. Thankyou everybody....for all the hugs n smiles !!! Hi Sangeeta, read ur comment in my blog and immediately checked ur blog and wasn't disappointed!! Thanks for appreciating my event. Hey I love this version and I make this with spinach gravy, try making that too tastes awesome!! Will call u once back and catch up with u.
Hugs to u, and keep moving!! take care. 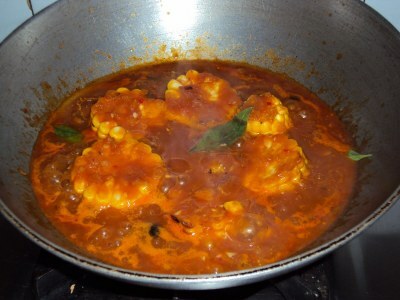 welcome back...corn curry looks superb and colourful..I posted very similar corn curry on my blog too..